Dr. Bernard Cooke Engages with the Question: What Is of Greatest Concern for You in Your Work? Dr. Bernard Cooke discusses his interests in both pneumatology, which is the study of the Holy Spirit, and the theology of power. He then speaks about how these two interests are related and how he has studied them together. Dr. Bernard J. Cooke, S.T.D. received his Bachelor’s and Master’s degrees from St. Louis University, Licentiate in Sacred Theology from St. Mary's College, Kansas, and Doctorate in Sacred Theology from the Institut Catholique de Paris, as well as honorary doctoral degrees from the University of Detroit and Marquette University. He was the Chairman and a Professor in the Department of Theology at Marquette University, where he inaugurated the first Ph.D. program in the nation to train Catholic laypeople for careers in theological scholarship and teaching. He went on to hold faculty positions at the University of Windsor and the University of Calgary in Canada, and in the U.S. at the College of the Holy Cross, where he retired as Loyola Professor of Theology in 1990. Dr. Cooke also held visiting professorships at Santa Clara University, Loyola University New Orleans, the University of the Incarnate Word, and the University of San Diego. Dr. Cooke published over twenty books and lectured in many countries, including Canada, France, Spain, Switzerland, Japan, Korea, Ireland, and East Africa. He died in 2013. 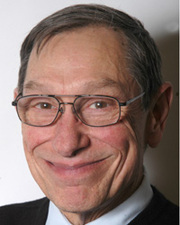 Dr. Alfred Benney is Professor Emeritus of Religious Studies at Fairfield University. He has a Ph.D in Theology from the Hartford Seminary Foundation and taught courses in Non-Traditional American Religions and Christian Religious Thought. His research interests include “how people learn”; “the appropriate use of technology in teaching/learning”; and “myth as explanatory narrative”. He has published work on teaching with technology.